I captured this photo of this challenging boy at Aji Dam, Rajkot, Gujarat, India. 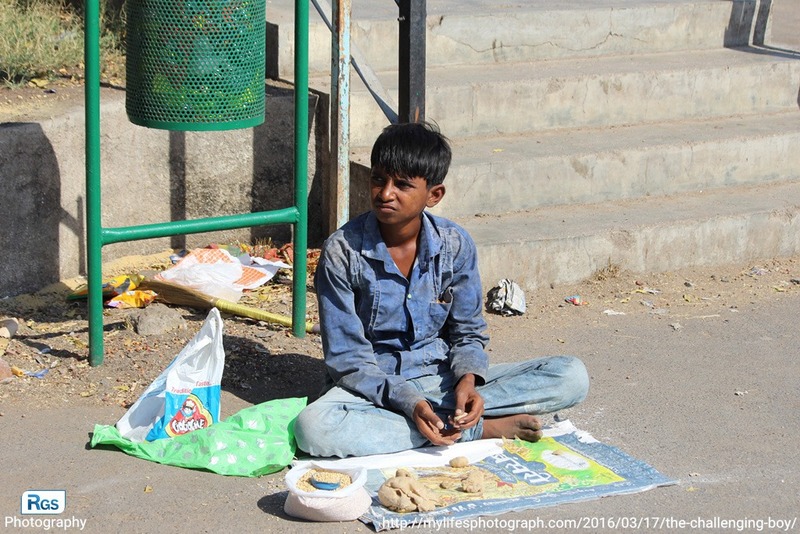 I called this boy as challenging boy because He is not begging from others. he tried to earn the money by hard work. I really impressed with this guy who also helps and earns the money for his family. Friends whenever you find the boy or girl like him/her. For humanity, Please purchase the goods from them without any reason to encourage them because they earn the money by hard work not by begging. If we will do it, they will encourage to earn the money by hard work and right way otherwise, at last, they will choose the way of begging. I also got the same message from other social media So, please feel free to share with others. If I found , without fail I help to him/her.